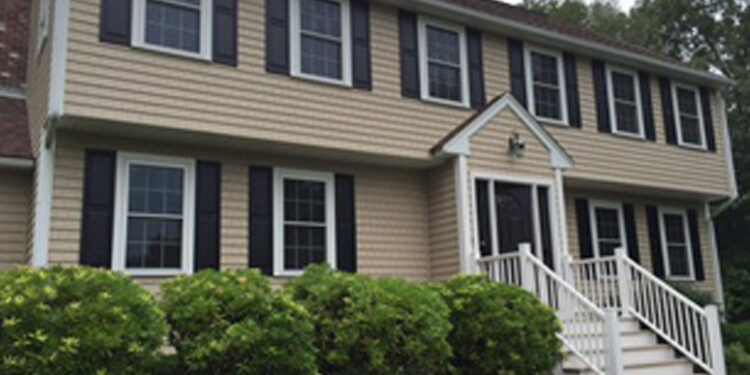 This Millbury, MA homeowner decided that it was time to update their home’s look. Their old wooden clapboard siding just wasn’t cutting it anymore – they were even experiencing a leak in one of their walls! The time had come to switch to siding and windows that would look nice without taking a lot of work to maintain. With that in mind, we came up with a plan and got to work. This project was actually done in two parts. Because a section of their home was leaking, we had to begin with that part right away, despite the fact that it was winter time! The rest of the project was completed at the beginning of the summer, when the weather was much more favorable. We stripped the home of all the original siding and windows and began replacing everything. We chose vinyl Energy Star rated windows. Not only do these windows look good, they are energy efficient too! This is a big deal, because windows tend to be a big area of energy loss. Energy efficient windows mean that the home will be more comfortable and the homeowner will save money on their energy bills. 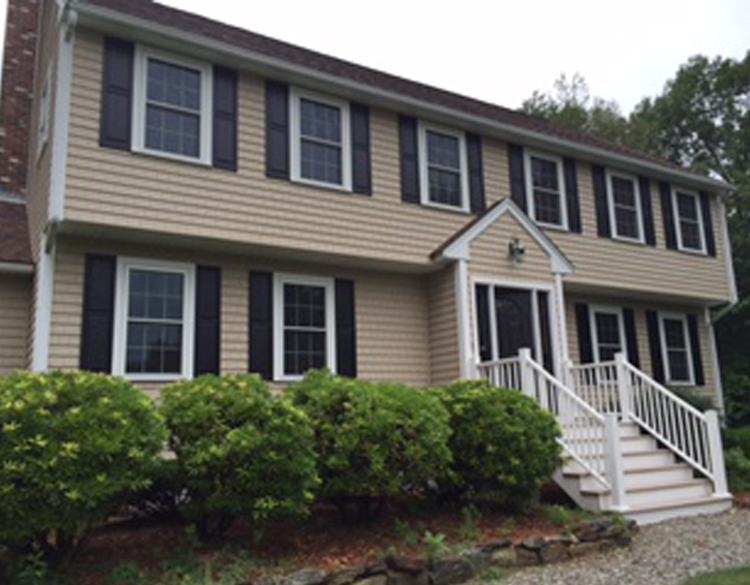 We decided to change to vinyl siding because it is much easier to maintain than wood. 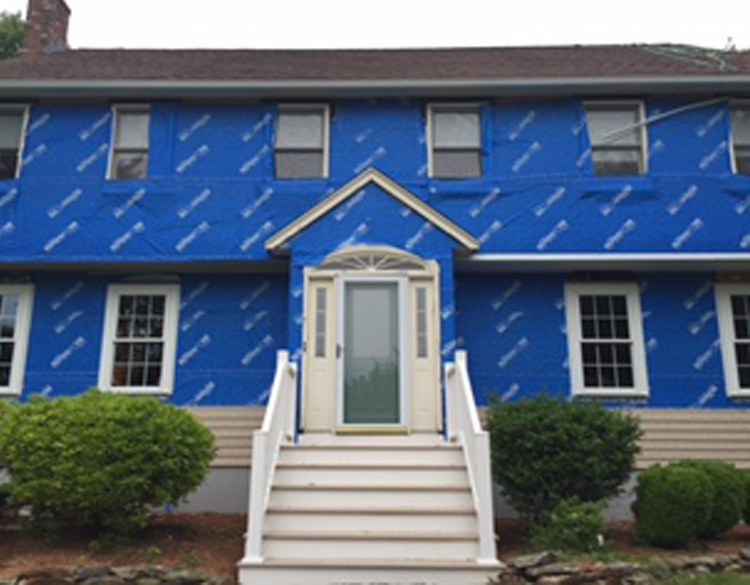 It is water resistant, never needs to be repainted, and is much easier to install than cedar clapboards. We used a vinyl “shake.” This type of siding is textured to look a lot like classic wooden siding, and it has no visible seams. This resulted in siding that is easy to maintain without sacrificing the classic look of the home. For the finishing touches, we replaced the old wooden door and the wood stained trim around the windows. The updated home looks great! Is your home in desperate need of an update? Whether it’s time for new siding and windows, you need to update your bathroom, or you have another home renovation project to tackle, contact Mason Sky for your free design consultation. We’ll help you make your dream renovations a reality.